21 January, 2016, New Delhi: Bikxie, the two-wheeler taxi service provider launches its women-only service, Bikxie Pink in Gurgaon. Bikxie Pink, a first-of-its-kind service in India, offers a fleet of Scooties driven only by women drivers. 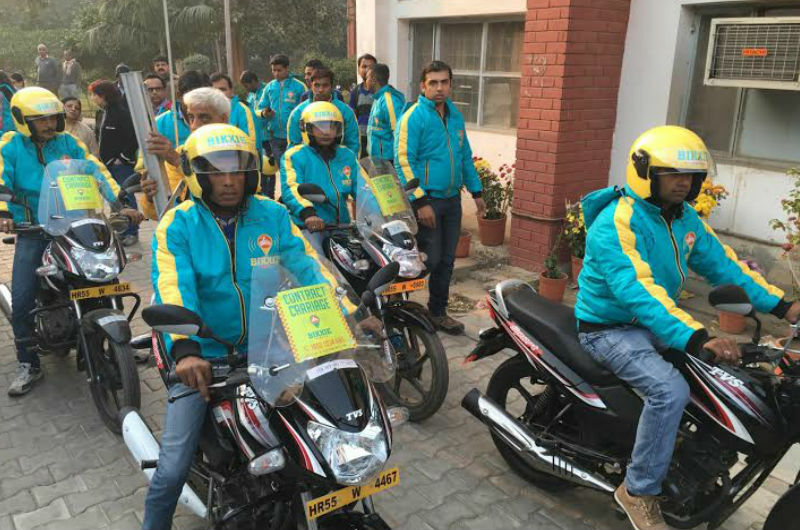 The service further bolsters Bikxie’s position as the only two-wheeler taxi service dedicated completely to the safety aspect with a special focus on the security and comfort of its women passengers. 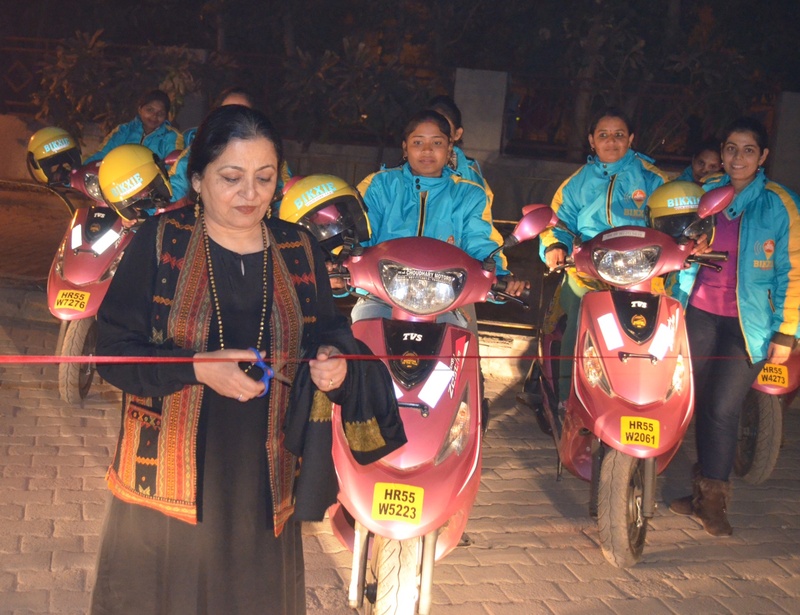 Bikxie Pink was officially inaugurated by Indian academic, writer and women’s rights activist, Professor Madhu Purnima Kishwar on January 20, in Gurgaon. Bikxie Pink will initially be rolled out with five women drivers and the fares will be the same as the Bikxie service for men. The women drivers will be given same comprehensive training and screened via the same police verification process that the male drivers undergo. Bikxie Pink was conceptualised based on the company’s internal research. It revealed that while male passengers would opt for a fast and reliable two-wheeler taxi with enthusiasm, female passengers would be reluctant on account of safety concerns and apprehension of riding behind male drivers. To make female customers feel safe, the company has launched Bikxie Pink. Bikxie also offers other safety features which ensures its services are completely foolproof for commuters, both male and female. Its specially developed app comes equipped with the option of feeding in an emergency contact and also has an SOS button. Once the SOS button is pressed, the emergency contact no, immediately gets the current location of the bike, bike no and the driver’s contact no.